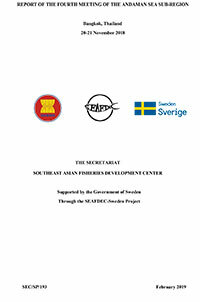 The Experts Group Meeting on the Regional Plan of Action for Managing Fishing Capacity (RPOA-Capacity) was organized by SEAFDEC in Songkhla Province, Thailand on 19-21 August 2015 with co-financial support from the Japanese Trust Fund and the SEAFDEC-Sweden Project. 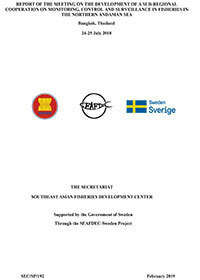 The Meeting was attended by regional/national fisheries management experts from Brunei Darussalam, Cambodia, Lao PDR, Indonesia, Malaysia, Myanmar, Philippines, Singapore, Thailand, and Viet Nam, as well as experts from SEAFDEC Marine Fishery Resources Development and Management Department (MFRDMD), Training Department (TD) and SEAFDEC Secretariat. 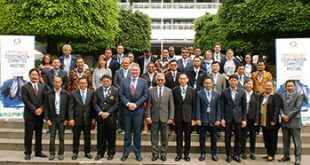 The Meeting was aimed at preparing the zero-draft RPOA-Capacity that could be used to support the management of fishing capacity in the Southeast Asian region. 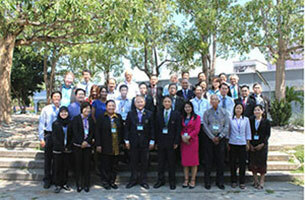 The Experts Group Meeting was convened in response to the suggestion made during First Regional Technical Consultation (RTC) on Development of Regional Plan of Action for Management of Fishing Capacity in Southeast Asia which was organized in Kuala Lumpur, Malaysia in February 2015. 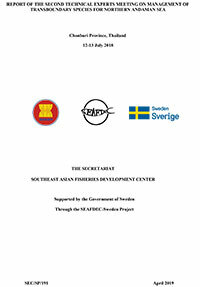 Organized by SEAFDEC in collaboration with the Department of Fisheries Malaysia (DOF) and co-financially supported by the Japanese Trust Fund and the SEAFDEC-Sweden Project, the First RTC identified the key issues on management of fishing capacity to be considered in developing the RPOA-Capacity. 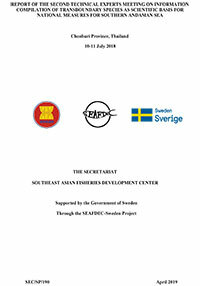 During the Experts Meeting, experiences were shared as well as the lessons learnt on the fishing capacity adopted by the respective countries, and used to discuss the pre-zero draft Regional Plan of Action for Managing Fishing Capacity (RPOA-Capacity) and produce the zero draft of the RPOA-Capacity for Southeast Asia. During the three-day intensive discussion, the zero-draft RPOA-Capacity came into final form, which would be revisited by the countries in order to finalize the RPOA-Capacity. 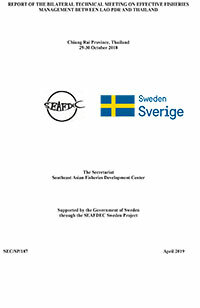 The final RPOA-Capacity is meant to serve as guide for the management of fishing capacity in the region, and as reference for the development of respective countries’ National Plan of Action for Management of Fishing Capacity (NPOA-Capacity) in the future.